Taste test: These plain potato chips were a bit bland in the taste department, particularly the ones near the top of the bag. The ones farther down seemed to be saltier and tastier. There were many large, unbroken chips in the bag, including a several chips that were impressively huge. Some had a little bit of brown around their edges. There was kind of a strange feeling biting into some of the chips. 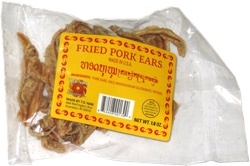 They were crisp, but the bite just didn't feel right. 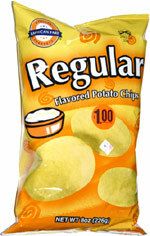 Smell test: Regular potato chips smell, salty and greasy. Kind of like Wise chips.